CAN YOU NAME EVERY NATION TO FEATURE IN THE TOP 50 OF THE FIFA WORLD RANKINGS? The first International break of the 18/19 season is almost over and it's been an interesting one for nations around the planet. It's the first one since the completion of the FIFA World Cup in Russia which has gone down as one of the best in the history of the competition. We saw plenty of goals and upsets, which resulted in England surprised everyone in making it al the way through to the semi-finals where they were eventually beaten by Croatia. 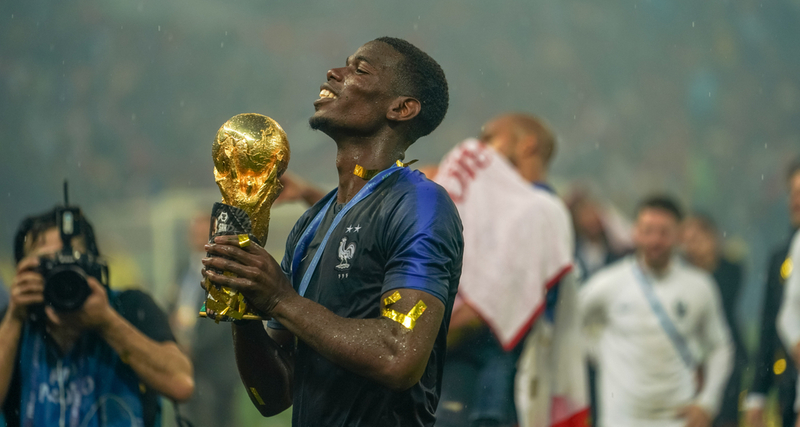 France ended up going all the way and lifting the trophy for the second time in their history, just 20 years on from their previous success on home soil. All in all it was an absolutely fantastic summer and it's resulted in some big changes to the FIFA World Rankings. Below par campaigns in Russia from some of the big guns have seen them drop down the standings, with Germany the biggest shock after falling from 1st down to 15th following their dismal group stage exit. We've taken a look at the latest batch of rankings and put together a quiz for you tackle inside six minutes, requiring you to name the top 50 nations to feature in them. It sounds pretty easy but there's a couple in there that will trip you up! So give it your best shots and tweet yours scores into us @FootyAccums and we'll RT the best - good luck!